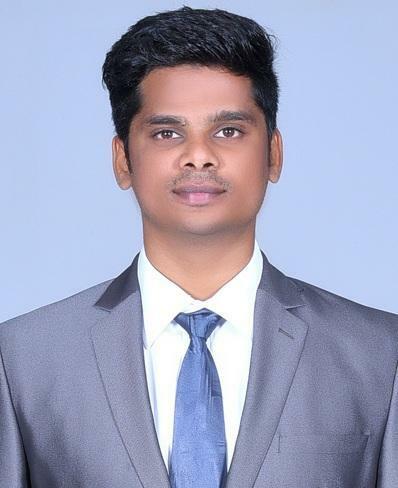 Engineering graduate with 2+ years of experience as service and body shop advisor at Audi, India and handled more than 400 customers in two years for repairs and standard maintenance of the vehicle. Hard working and reliable contender, interested in associating with a rapidly growing organization where all the capabilities are optimally utilized for a long term career. Managing the dispersal and distribution of materials for production to meet the daily production schedule. Provides manufacturing information by compiling and analysing production performance records and data. Promotes 5S and TPM activities, Batch Production in the production line and educates safety methods and provides PPE to all workers. Daily production entry through SAP. TPM & SDWT practicing in shop floor. Circle leader for press shop in TPM. Audi is a German automobile manufacturer that markets and distributes luxury vehicles in the name of Dealership JAHNVI MOTOR PVT LTD (AUDI MADURAI) which deals with SALES and SERVICE Throughout South Tamil Nadu. M/S Caparo’ Engg India Pvt Ltd, a UK based company. An ISO/TS - 16949:2002, ISO 14001, OHSAS 18001, certified company, a leading manufacturer of pressed component and skin panels for automotive industries, our major customer M/S Renault Nissan Automotive India Pvt Ltd, M/S Volvo India Ltd, M/S Tafe India Ltd, M/S Msi India Ltd, First Solar Corp., Sun Edition Ltd.
Presenter (MASTER OF CEREMONY) for GOOGLE project HWGO (Helping Women Get Online) from the 1st of July 2014 to 30th Sep 2014. In this project, we designed and fabricated a marking trolley which is used to mark lines in athletic tracks which reduce the work of Man Power. The main element of this project is a solid-state joining process where a different grade of aluminum alloy is welded. Attended International Welding Conference in Annamalai University. Advisor in RED RIBBON CLUB of National Engineering College. Organized “blood donation camp” in college. Represented National Engineering College for Basketball and Handball Teams. Systematic and optimistic in nature. Willingness to learn and get specialized in things. Always owed with “can-do spirit”. Quick learner, resourceful and productive. Good at getting along with people. Capable to lead a team effectively. Permanent Address: 6-8/28, Central Bank Colony 5th cross street, Viswanathapuram, Madurai-625014. I hereby declare that the above mentioned information is correct up to my knowledge and I bear the responsibility for the correctness of the above mentioned particulars. I also assure that I will give my best in the work given to me.